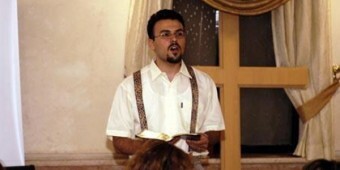 As he was going to visit and help build an orphanage, this pastor was detained by Iranian authorities. (James 1:27). And now, he is imprisoned in a dungeon because of his faith. Indeed, all who desire to live godly in Christ Jesus will be persecuted” (2 Timothy 3:12; NASB). He is willing to endure persecution rather than to deny Christ. Moreover, he has not seen his wife and kids for a long duration of time, but he is still being persevered in the grace of God. I can’t imagine the agony and pain he is enduring, but my prayers are with him and his family. The Bible exhorts believers to remember those persecuted for their faith. Remember the prisoners, as though in prison with them, and those who are ill-treated, since you yourselves also are in the body” (NASB). It is my understanding that the early church took this verse to heart. And the manner they did it was very convicting. Some of them would of course, remember them through prayers and much meditation, but some would go so far as to literally join the beloved saint in prison with them. On the other hand, I am not sure why nothing is being done drastically from our government to do whatever it takes to release this U.S. citizen from the prison of this tyrannical government. What I learn from this situation is that Pastor Saeed and his wife are wonderful examples of what it means to deny oneself in order to walk in a worthy manner of the Gospel. I pray that this will lit a fire in our hearts and will be a powerful reminder to us that following Christ requires a cost; and that cost is to love Christ more than our own family, comforts, and even our own lives. For more information on this dear pastor, please see this video and website. Our voice must be heard.